JANKY! 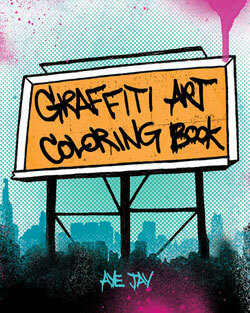 » Blog Archive » Graf color book! After long, long last the Graf coloring book is out! Many amazing names gave me the ok to redraw their pieces for coloring book form, and i’m really happy with the results. Pick one up on Amazon or wherever you buy books these days!